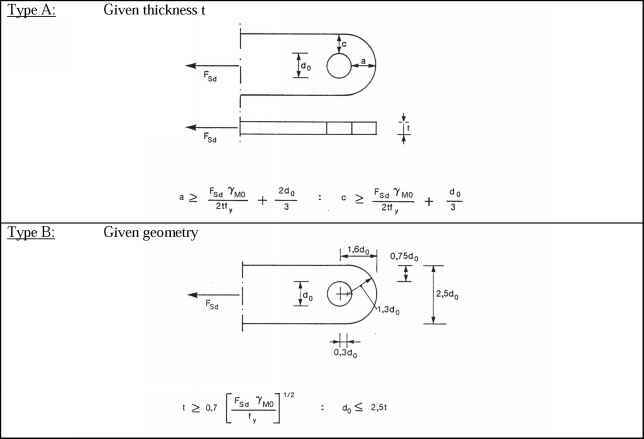 Take A?i,Rd as the value of NiRd for a T, X or Y joint from Table 7.11, but with t0 replaced by (t0 + ip ) for chord side wall buckling failure and chord side wall shear failure only. 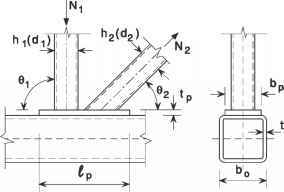 ure, brace failure or punching shear. Take ^i,Rd as the value of ^i,Rd for a K or N joint from Table 7.12, but with t0 replaced by tp for chord face failure, brace failure and punching shear only. Reinforced with a pair of side plates to avoid chord shear failure. 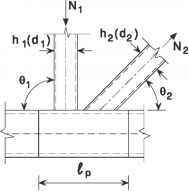 Take NiRd as the value of ^iRd for a K or N joint from Table 7.12, but with t0 replaced by ( t0 + tp ) for chord shear failure only. Reinforced by a division plate between the brace members because of insufficient overlap.